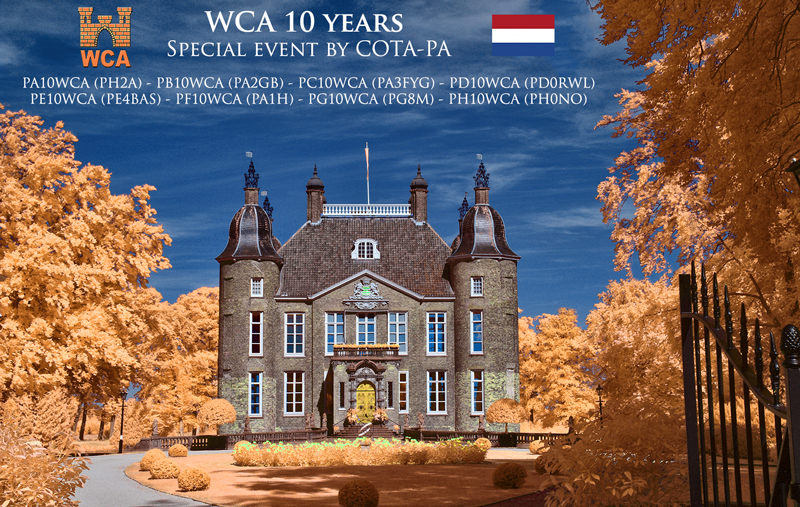 In June COTA-PA is going to participate in the 10th anniversary festivities of the World Castle Award (WCA). For this occasion we will have 8 activators using 8 different special calls while activating castles that are part of the COTA-PA and WCA program. There will be a special award for working these P*10WCA callsigns - with three levels (bronze, silver, gold) depending on the amount of contacts you make with the activators. Most activity will be in the period of 8-16 June but some calls will be active on other dates in June. Exact dates and times will be communicated at a later date.